Nintendo has been a household name in the world over for the last 30 years, and their Pokemon franchise took the world by storm in the 90s. But did you know that the multimedia Nintendo empire started out as a humble karuta company in 1889? That's right, not 1989, 1889. Long before Mario and Princess Peach's torrid love affair began, there was a type of Japanese playing cards called かるた or カルタ. Oddly enough, mastering karuta requires some of the same skills as mastering your average video game–a combination of lightning reflexes, memorization, and lots of time to waste. And for the Japanese language learner, karuta also offers the perfect blend of procrastination and productivity, a way to work and play at same time. 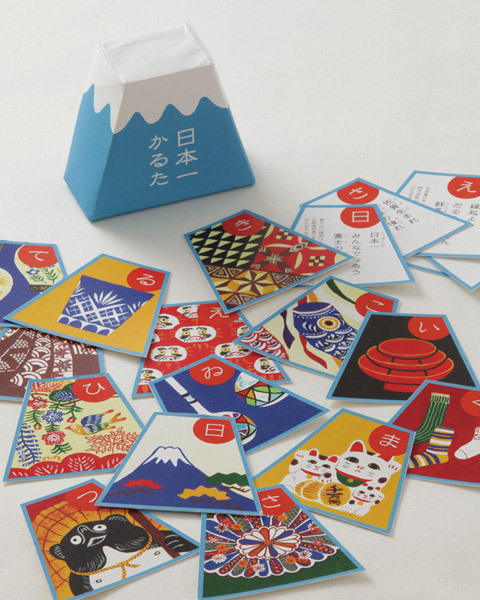 Uta-Garuta 歌ガルタ（うた　） literally means "poem cards," and consists of 200 cards divided into two sets, each containing 100 waka poems. One set is for reading and the other is for grabbing. The most popular type of Uta-Garuta is Hyakunin Isshu 百人一首（ひゃくにんいっしゅ）, or "100 people, 1 poem." 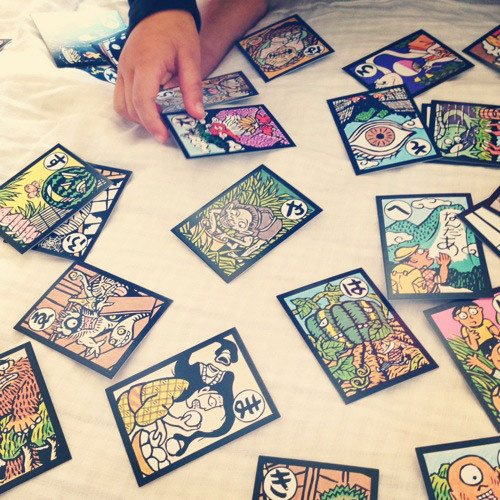 Iroha Karuta いろはかるた（） is an easier form of karuta for children. "Iroha" is like the Japanese version of "ABC", based on the way Japanese used to order kana. So Iroha Karuta could be thought of as "ABC Karuta." There are two sets of 48 cards for a total of 96. 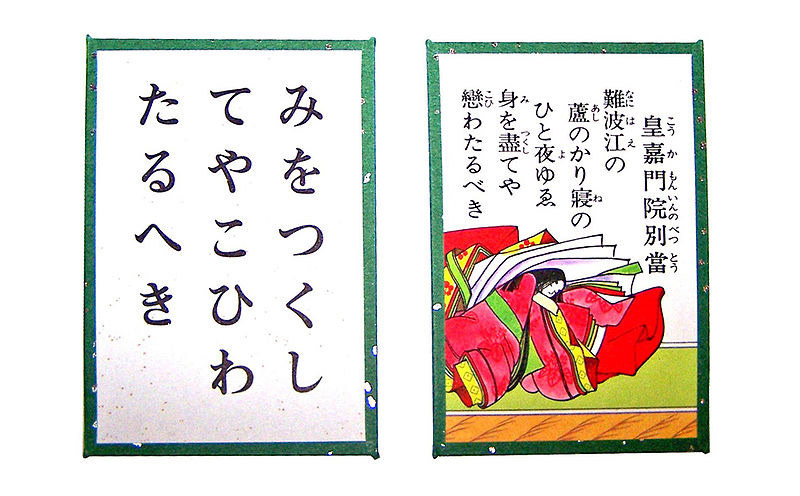 Instead of waka poetry, Iroha Karuta features proverbs. 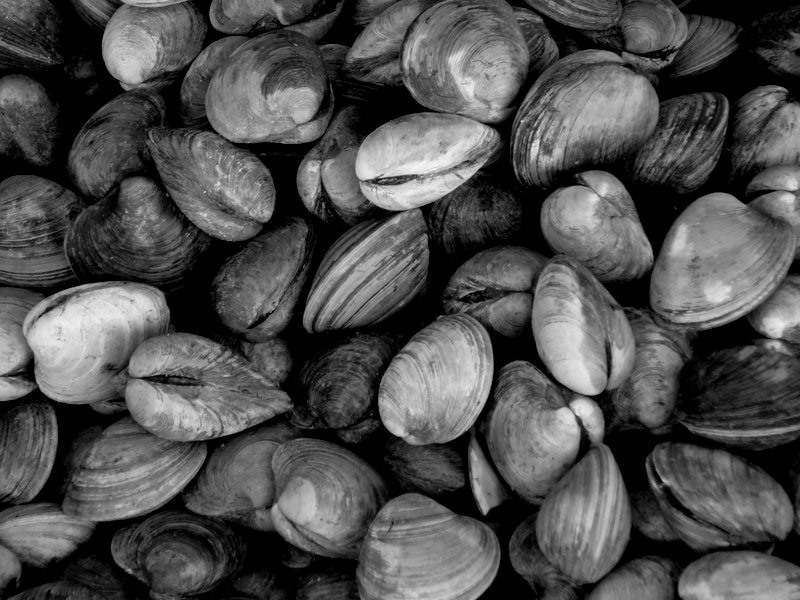 Karuta, as it exists today, is the hybrid descendent of 12th century clam shells and 16th century Portuguese sailors. During the Heian period (794-1185), Kyoto aristocrats whiled away the hours with pastimes like writing elaborate poetry (read: passing gossipy notes back and forth that happened to be written in meter) and playing kai-awase 買い合わせ（かいあわせ）, a "shell-matching" game. The inner surfaces of clam or oyster shells were painted with matching scenes and/or poetry, a set of shells were laid face down, and players competed to see who could match the greatest number of shells in the shortest amount of time. Karuta's second ancestor arrived through the port of Nagasaki in the mid-1500s. 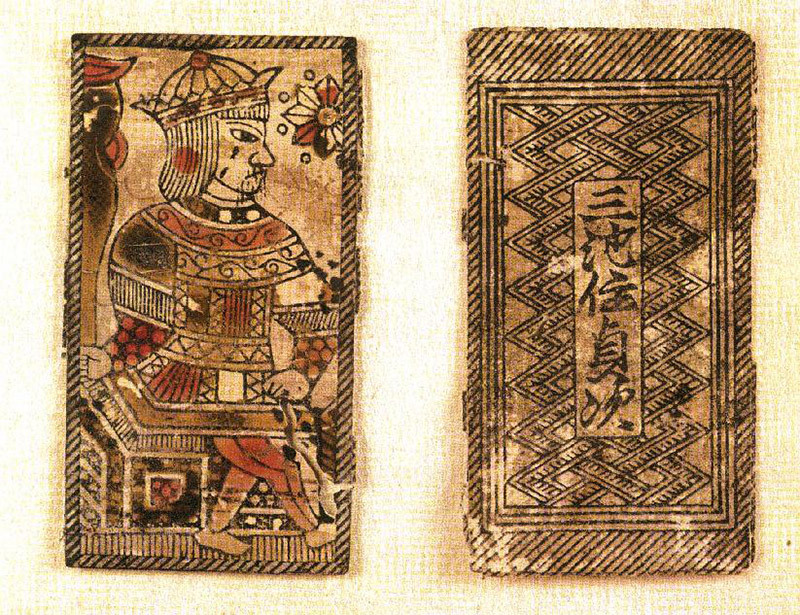 Here Portuguese sailors introduced the resident samurai class to European playing cards that they called carta. As filtered through Japanese ears, carta became karuta. During the ensuing Edo period (1600-1868), karuta fully evolved from a foreign Portuguese import into a distinct Japanese custom, combining traditional kai-awase gameplay with the European paper card medium. Although painstakingly hand-painted at first, before long karuta were being mass-produced via cutting-edge woodblock print technology. Now people from all walks of life could afford to buy their own deck, and oysters once destined to become kai-awase could breathe a sigh of relief. Spread all the torifuda face up on a flat surface between the players. The "reader" randomly draws a yomifuda from the deck and reads it aloud. Players race each other to determine which torifuda corresponds to the yomifuda clue and then to touch/grab/claim the correct card first. Repeat steps two and three until no cards remain. Whichever player has the most cards wins! Now if you're a casual gamer like me, you'll probably be satisfied with the low-stress version of karuta described above. But if you're the masochistic sort who likes their recreational activities to induce stress, you might want to try your hand at kyougi karuta 競技カルタ（きょうぎかるた）, or competitive karuta. Sure, a paper cut might be the most severe injury you can receive in a match, but competitive karuta is no joke. You'd be surprised at how intense the last few rounds can get–two formerly unassuming obaasan can morph into fierce warrior women before your eyes! The televised matches remind me of competitive poker–and strangely enough, karuta used to be a popular form of gambling. In competitive karuta, 50 randomly selected torifuda are split 50-50 between two competitors. 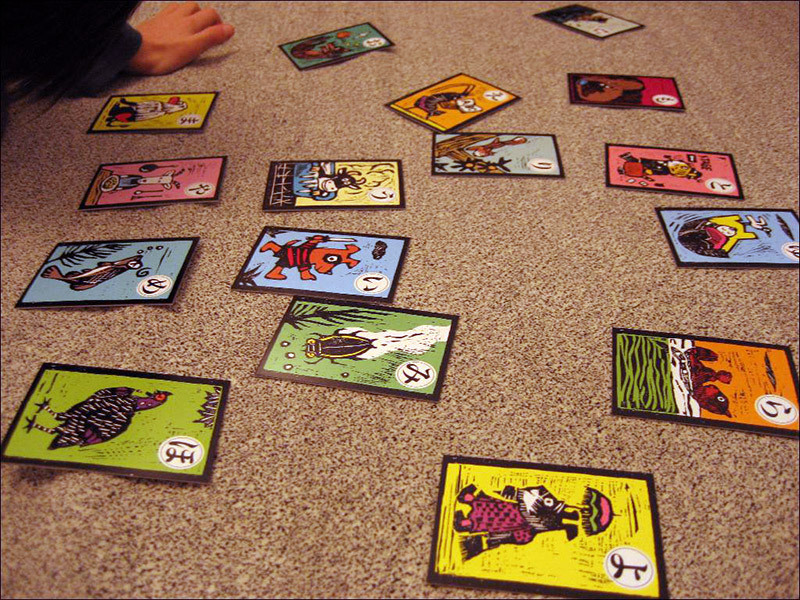 Before the game begins, each player arranges his or her 25 cards face-up on his or her territory in any one of a number of strategic positions. A fifteen minute period is provided in order to memorize the position of his or her own (and his or her opponent's) cards and a two minute period is reserved for players to practice striking at cards. When time's up, the reader opens the game by chanting a poem that doesn't appear in the Ogura Hyakunin Isshu deck. 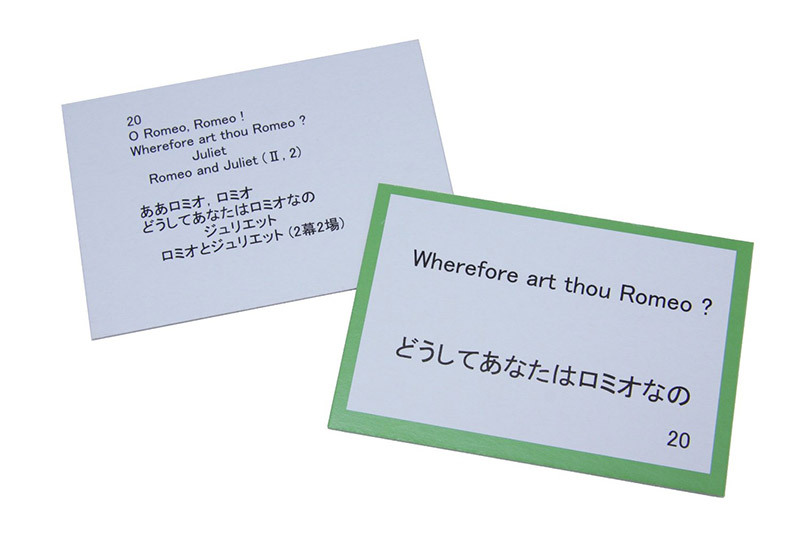 After that, the action starts–the reader sings out the first lines of the first poem while the players scramble to identify and then claim the torifuda card containing that poem's last few lines. 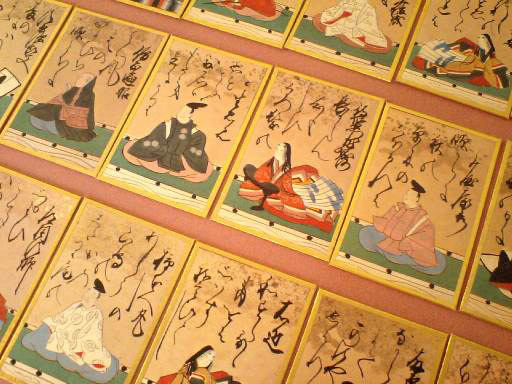 Since the mid-Meiji era, large-scale kyougi karuta competitions have taken place on a national level. The All-Japan Karuta Association (established in 1957) currently sets the standard for the official rules and format of kyougi karuta. The rules are more complicated than you might think–see for yourself here: English Kyougi Karuta Handbook. 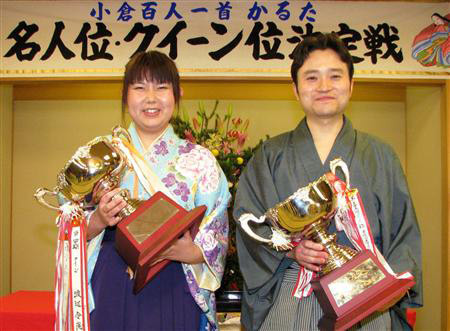 The media covers many of the tournaments sponsored by the AJKA, particularly the New Year's national championship held every January at Omi Shrine in Shiga Prefecture. This is where the AJKA crowns the male and female Grand Champions as Queen クイーン（） and Master 名人（めいじん）. And as if that wasn't hyperbolic enough, seven-time Grand Champions are bestowed with the title of Eternal Master 永世名人（えいせいめいじん） or Eternal Queen 永世クイーン（えいせいくいーん）. Just imagine how that would look on your resume. If you think you have what it takes, there's a budding international tournament you can set your sights on. The first one was held in 2012 and competitors from the US, China, South Korea, and New Zealand showed up to show each other up. Hurry up and snag your trophies while you can, before they add karuta to the Olympics and everyone and their okaasan start competing for the glory. That said, don't worry if you feel unprepared to compete on the world stage. There are lots of levels on which to enjoy karuta. 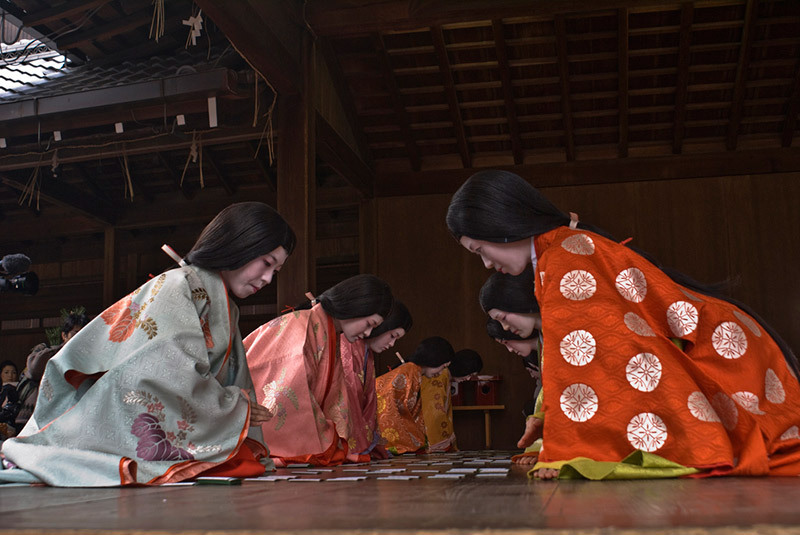 For over a century, a rousing game of karuta has been a staple of New Year's celebrations in Japan. 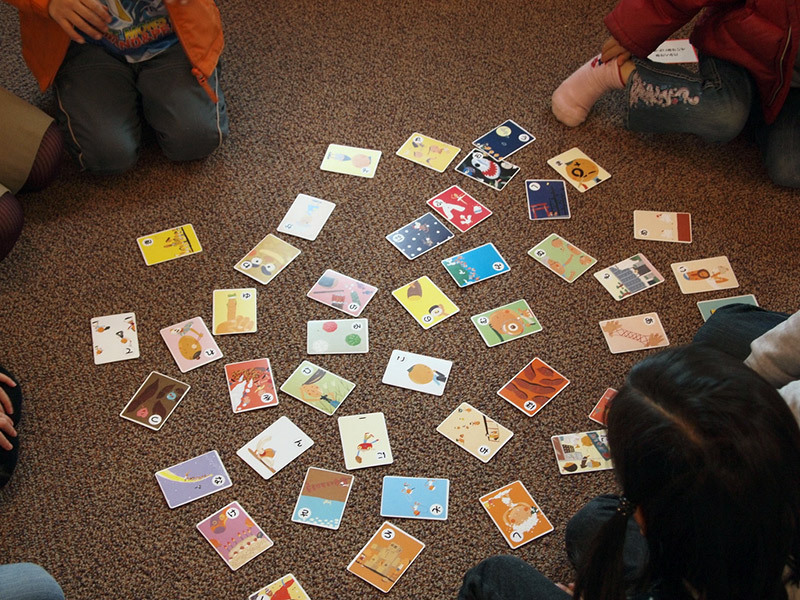 It can be enjoyed year-round at community centers (where members often create and use their own karuta with local scenes) or high school and college clubs devoted to studying and playing karuta. 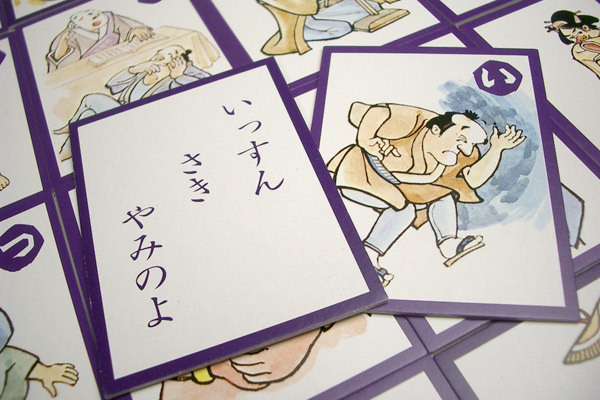 Karuta's even made it into the curriculum approved by the Ministry of Education–studying and playing karuta is one of its recommended teaching materials. Karuta is also a media darling–there's Karuta Queen, an NHK drama, and Chihayafuru, a wildly popular manga (and then anime) series that follows a school girl who takes up kyougi karuta. 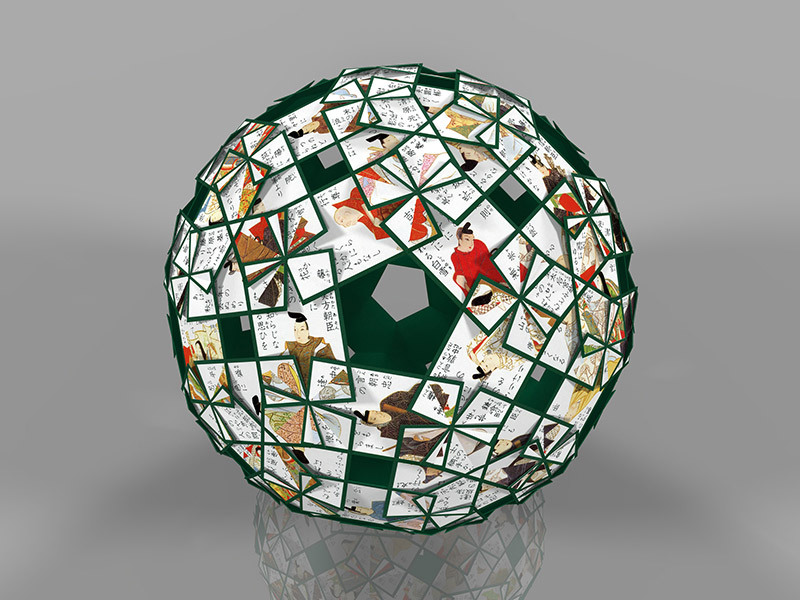 Whether you want to brush up on your classical Japanese poetry, finally memorize the names and location of all 47 Japanese prefectures, or gain a questionably useful but unquestionably entertaining knowledge of traditional Japanese monsters, there's a karuta deck for you. To give you a sense of the variety out there, here's a sampling of some of the most popular and/or common karuta decks I've come across. This is the most widely known and popular version of karuta, probably due to the fact that it's the variety used in competition. This deck is based on a famed poetry anthology of the same name (which literally translates to "100 people, 1 poem"), a collection representing both male and female poets from the 7th through the 13th century. The 100 poems featured in Hyakunin Isshu Karuta are the same 100 poems selected and compiled by poet and court noble Fujiwara no Teika in the early 13th century. This is a great way to exercise your classical Japanese skillz, also known as kobun (check out Rochelle's thorough and thoroughly awesome Introduction to Kobun Series if you need a primer.). For but one night's sake, Short as is a node of reed Grown in Naniwa bay, Must I, henceforth, long for him With my whole heart, till life's close? Just because she said, "In a moment I will come," I've awaited her E'en until the moon of dawn, In the long month, hath appeared. This is the second most widely known and popular version of karuta, and it's also more widely accessible than its poetic counterpart. 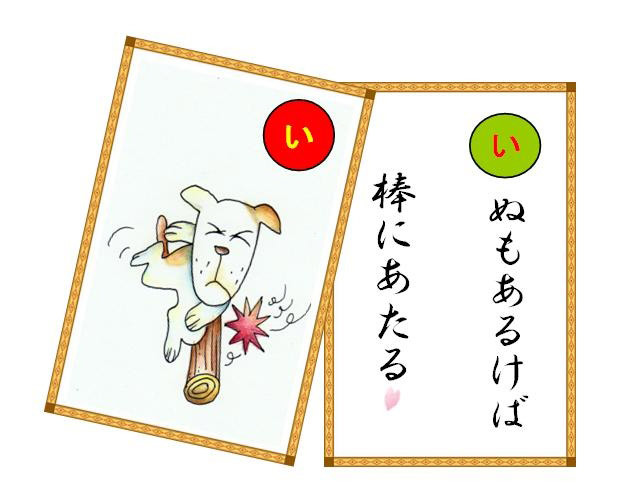 Often used in conjunction with teaching children the hiragana syllabary, Iroha-garuta feature 48 proverbs (kotowaza). 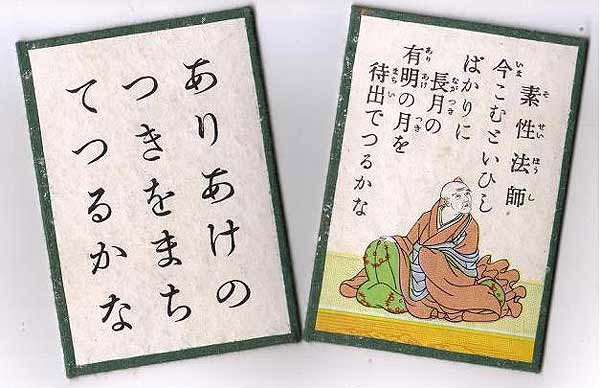 The proverbs vary according to the set but, in all cases, the full proverbs appear on 48 yomifuda while a corresponding picture and a kana with the first syllable of the proverb appear on 48 torifuda. While 48 might seem like an arbitrary number, it's based on the number of hiragana syllables–each of the syllables is represented by a proverb beginning with that syllable. However, since no words begin with "n" in Japanese, the custom is to replace the "n" with the character kyo 京（きょう） for "capital" as a nod to the game's origins in Kyoto. These "monster" obake お 化（ば）け karuta were created and popularized during the Edo period but remained common through the 1910s-20s. 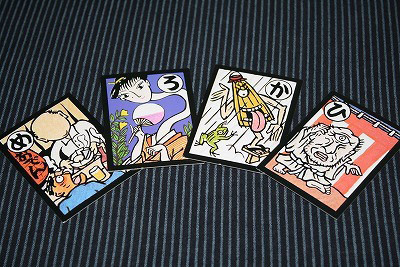 Charmingly creepy illustrations of 48 bakemono (monsters) from Japanese folklore slither, slink, and skulk on the faces of the torifuda cards, along with an accompanying hiragana character in the corner signifying the creature's initial syllable. Clues to identify the monster appear on the yomifuda that correspond to each ghoulie, ghostie, and long-legged beastie. Hmm, a Japanese card game about monsters…sound familiar? It's hard not to see Obake karuta as the grandaddy of modern phenomena like Pokemon and Yo-kai Watch. Tired of speaking plain-old, run-of-the-mill Japanese all the time? Want to know more about the unique and fascinating regions of Japan's islands? 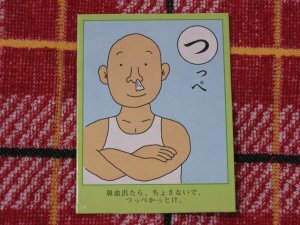 Regional dialect karuta (hougen karuta) can arm you with the words and phrases you need to sound native whether you're in Hokkaido, Osaka , Kyoto, or Aomori. 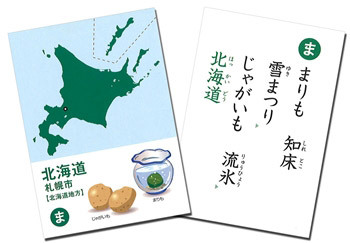 And regional history cards (kyoudo karuta) can introduce you to the local events, specialties, and historic sties of areas as far flung as Gunma (Jomo Karuta) and Hokkaido (Hokkaido no Meisho or "Famous Places in Hokkaido"). Tokyo's not the only game in town! 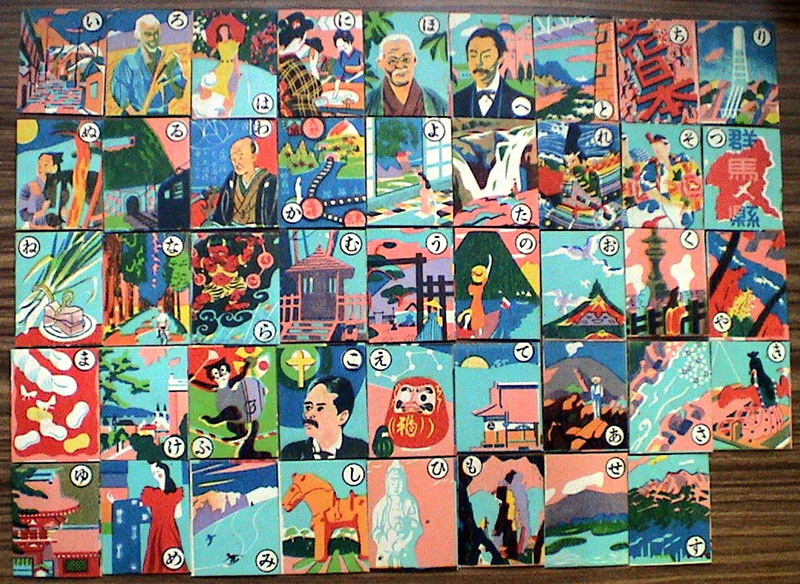 Translations of cards from left to right: "Gunma Prefecture, shaped like a crane in flight"; "The hot springs of Ikaho, among the best in Japan"
Karuta like Todoufuken karuta 都道府県かるた（とどうふけんかるた） and Nipponichi karuta 日本一かるた（にっぽんいちかるた） both fit under this category, since they represent all of Japan's various regions in a single deck. 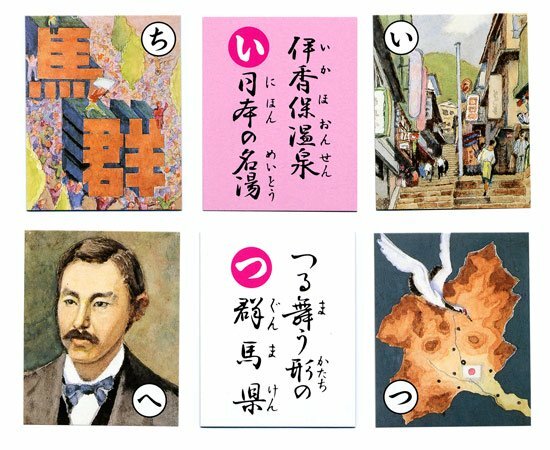 Playing with Todoufuken karuta can help you memorize the shape and characteristics of all 47 of Japan's prefectures, while Nipponichi karuta will introduce you to a traditional folk craft from each of Japan's prefectures via poems inscribed on the yomifuda. These decks are a great way to bust the myth of Japanese homogeneity and learn more about Japan's internal cultural diversity–Nagasaki is not Gunma, just like Maine isn't Alabama. Nipponichi karuta: Here we have an homage to Nara's luxury socks on the left and the tairyoubata 大量端（たいりょうばた） banners of Chiba symbolizing great catches on the right. Todofuken karuta: Two sides of the pair of cards featuring Hokkaido (in this set, the torifuda and yomifuda are double-sided in order to pack in as much info as possible). This one's a bit of a wild card. 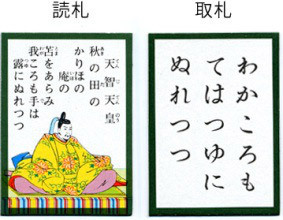 Similarly to Hyakunin Isshu Karuta, this Shakespearean variety features a poetic verse on the yomifuda and the last few lines of that verse on the torifuda. 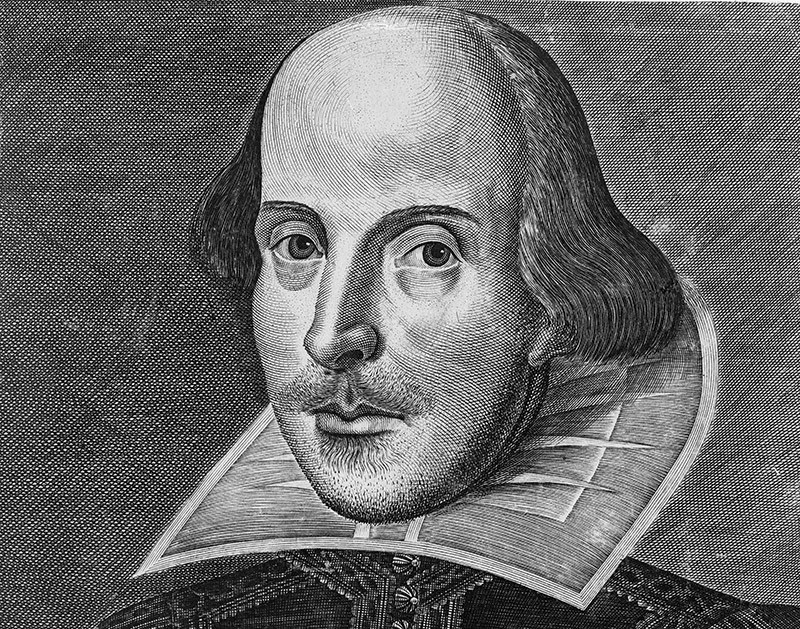 The twist, of course, is that Shakespeare's Old English has been transformed into modern Japanese. If you're a translation dork like me, this is the kind of stuff that gets you going–the opportunity to see how familiar English phrases like "To be or not to be" and "Romeo, Romeo, wherefore art thou Romeo" become retrofitted to an entirely different language and culture. But that's just the tip of the iceberg. 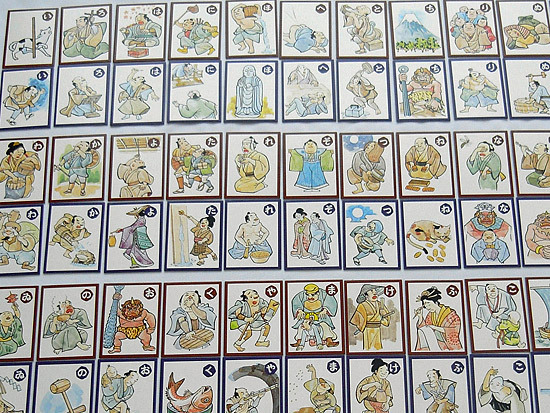 Hyakunin Isshu is almost like the original Monopoly, and like Monopoly with its twenty million variations, the karuta industry endlessly generates new variations on its centuries-old theme. One of the best things about picking up karuta as a hobby is that it doesn't have to break the bank. I picked up my first deck on a whim for 500 yen (roughly $5) at Daiso in Harajuku (a popular "100 yen store"). That doesn't mean you can't drop a small fortune, though–a single reproduction of the famed Ogata Korin Hyakunin Isshu set, elegantly hand-printed and highlighted with fine gold foil, goes for around 1,100,000 yen (roughly $11,000). 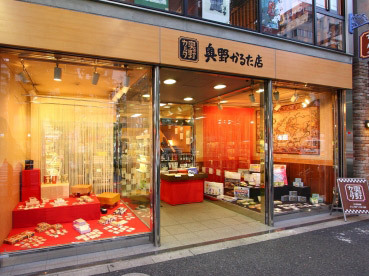 Though I haven't yet been myself, the Okuno Karuta Store, established in 1921 and located in the Kanda-Jinbocho district of Tokyo, promises to be a karuta pilgrimage worth taking. On the first floor, the Okuno family sells a ridiculous array of karuta, including over 30 decks exclusive to the store as well as antique, hand-painted sets dating to the Meiji era. Having been in business for almost a century, the Okuno Karuta owners have curated some stunning collections over the years. These collections can be seen on the second floor (added in 2009), now the home of a minis-museum dedicated to traditional Japanese games with displays rotating on a monthly basis. If you can't afford to ship yourself to Japan and back again, you can always get karuta shipped to you instead. 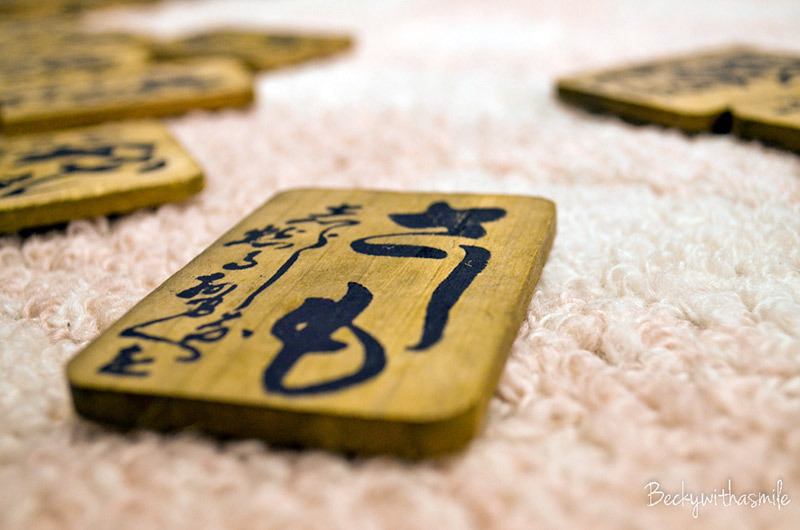 Online stores like Punipuni Japan, Rakuten, Japan's Amazon.com, River Whale, and Discovery Creative all offer a wide selection of affordable karuta (including all the varieties listed above) for international shipment. And if you're cramming for a test, head over to Gakken, a company that specializes in explicitly educational karuta–practice your Japanese while you memorize world geography or the elements of the periodic table. If you're not satisfied with the available decks, you can buy a stack of blank karuta cards (sold on Rakuten) to make your very own set on the topic of your choice. On the other hand, if it's the cost that's got you down, you can always use cut up your own blank card stock to create your own custom deck or recreate an established one. Last but definitely not least, you can print out free downloadable karuta decks on sites like Nifty Kids for a Hyakunin Isshu set or Happy Lilac for Iroha-garuta. You might be thinking, "Alright, this could be fun, but I don't have anyone to play with!" Never fear! You're not alone in your quest to master karuta on your own. A number of sets come with a CD-ROM that stands in for a reader, calling out the yomifuda for you so you can concentrate on grabbing those torifuda. The same principle works if you play via app. Another option (my personal favorite) is to just do the reading yourself. And hey, taking on both reader and player roles gives you the most language learning bang for your buck–combining reading, pronunciation, and listening practice. Just record yourself reading each of the cards as a separate audio file, import those files into a folder on iTunes, and let them play on Random mode to act as the reader while you play in real time as the player. 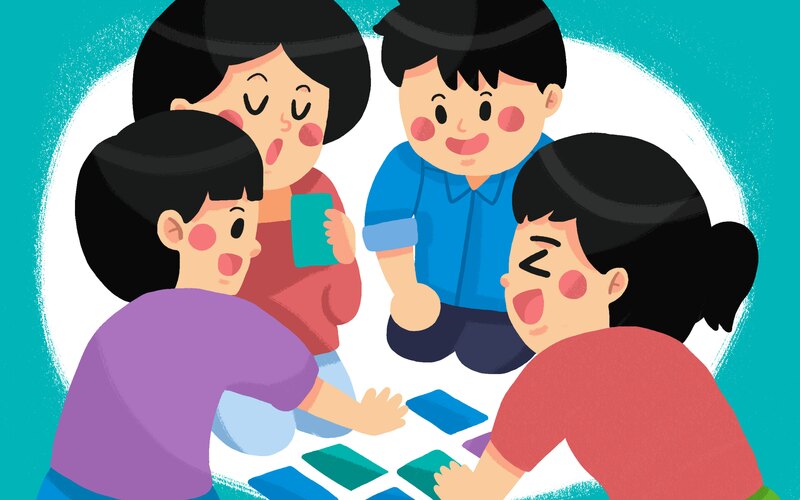 Whatever way you choose to play–solo or group, casual or competitive, IRL or online–you'll be flexing your Japanese muscles, beefing up your knowledge of the deck's topic, and exercising your memory all at the same time. That's a lot of heavy lifting for a single deck of cards. So take a break from some other time wasters and give karuta a try–you'll never become an Eternal Master by playing online solitaire, that's for sure.